We have our third happy hour coming up, and this time it’ll be somewhere with a real happy hour. 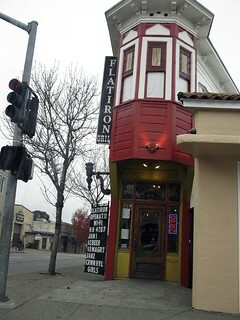 Join me and fellow transit & planning geeks/activists/enthusiasts/professionals at the Flatiron in downtown San Rafael on Wednesday at 6:00pm. Come late, come early; I’ll be there with signage. If you’re looking for a person, I’ll be the bearded 20-something wearing a brown shirt about time travel. In a sports bar like the Flatiron, I suspect I’ll stick out. See you out there! Mid-Week Links will have to be delayed by a day due to some extenuating circumstances, but they’ll be back tomorrow.